If for any reason the print job does not meet the agreed requirements, let us know within 5 days of delivery and we will rectify it. It’s that simple! We’ve been told that’s a pretty cool Printing Guarantee. Every customer at Barney’s needs peace of mind. 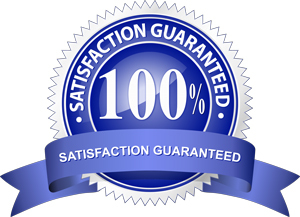 That’s why the Barney’s Printing Guarantee is our commitment to you that we are here for you on each and every job. We’re proud to say that our printing guarantee offers you the greatest protection in the Australian printing game. Our 7 stage quality process means your job will be finished on-time, in budget and to specification. How does Barney’s 7 Stage Quality Process Work? After a chat with you, we will feedback everything to you in an email. Barney’s will give you a quick quote showing the important parts of your job. After we receive your quote and print-ready art, confirmed delivery details and agreed lead time, we can move on to the next stage. We will check the artwork for any issues that may affect the printing quality and alert you to the fact prior to printing/manufacture. A new file will need to be supplied prior to progressing to print production if there is a problem. We know you will appreciate this care we take. We will deliver to you either a hard copy proof or a PDF proof of your job, a mock up or sample if needed (usually for more involved booklets or products with special folds, shapes and so on), for your approval before the job goes live. Upon approval by you of this proof, we will then proceed. This proof is kept and is used by our team as part of our checking process. The goods are checked by our team before they are packed in clean, strong and clearly labelled boxes and shipped to you using a well known courier.